Preview programs weren't new in Radio. Since the mid-1930s the major Film Studios had been plugging their latest productions through a multitude of "Movies On The Air" types of programs. They were much like the trailers shown in later years in movie houses across America, and very much like those annoying five to seven movie trailers we each pay $10 to see with our favorite movies of today. But these were on Radio. The Film previews simply served to create interest in the listening public. In one instance, Warner Bros. attempted something similar to Radio program previews with its Warner Academy Theater often referred to as Encore Theatre of The Air, in which promising rising young Warner Bros. stars were featured in screenplays upon which the listening audience could phone or write in to voice their approval or disapproval for a given talent or screenplay. Radio program previews--or public auditions--were a new wrinkle in test marketing for their day. CBS and NBC both exercised this technique during the 1940s. CBS's rendition was called CBS Forecast. NBC's rendition was called NBC Premieres [For Your Approval] and the later Show Case which auditioned BBC Programmes for possible adoption by the network. Not to be outdone, MBS also employed the format with its For Your Approval in 1946 and emcee'd by Sherman 'Jock' MacGregor. It was a very innovative way to gauge the potential of a proposed program to a far greater audience than test marketing auditions might disclose. To be sure, CBS, NBC, and MBS performed such focus group testing for smaller productions. They'd invite a cross-section of their target audience to one of their studios, give them the grand tour, treat them like honored guests, then sit them down and gauge their responses to a test program. Would they generate strong enough prime-time ratings to risk airing them as sustaining productions until a major sponsor could be brought on board, or . . .
Would a potential listening sponsor be so taken with the proposed program that they'd make CBS an offer to sponsor the program on spec . . . The more resource-intensive productions certainly merited a wider test audience--especially proposed programs with major name stars. Major talent might receive $5,000 to $10,000 a week for a program they performed in on a recurring basis. Add another $4,000 to $7,000 per week in production costs, technical support, marketing, supporting cast, orchestra, etc., and you're talking a major investment for the day. THE NBC NETWORK has worked out a simple way in which to test out its program ideas in a new series, titled "Advance Release," which will feature single performances of each new show proposed. The series will begin Thursday at 8:30 p.m. and will run until Aug. 31. The initial program to be tested will be "Voices of Walter Schuman," featuring a group of 32 professional singers organized a year ago. THEY WILL SING "Hospodi Polimui" (Lord Be Praised), "Rock of My Soul" and "The Angel and Mr. West." Robert Packham will direct and Harry Von Zell will be host. "What's With Herbert" will occupy the spotlight July 20. Phil Foster, night club comedian, will be featured in a situation comedy which is written and directed by Charlie Isaacs. Lu Bring's orchestra will furnish the musical background. The July 27 program will be "Daisy Discovers America," a musical comedy-drama starring Broadway Singer Ella Logan. Again Isaacs will handle the script and direction. Another of the very frequent crime shows will be broadcast Aug. 3. This one is titled "Underworld," and has as its format an inside expose of crime based on copy by Reporter Martin Mooney of I.N.S. "Advance Release" for Aug. 10 will introduce "The Doctor," a documentary on the medical profession. The brains behind NBC's realistic crime show, "Dragnet," will handle the production, with a script by James Moser, writer of "Dragnet," and direction by Jack Webb, who stars in the latter show. A SITUATION comedy, "It's Pippin," follows on Aug. 17. This concerns an American family which inherits, from English relatives, not only a famous silver service but a formal butler who tries to Anglicize them while they try to Americanize him. On Aug. 24, "That's My Pop," based on a cartoon by Milton Gross, and starring Jim Backus, Hope Emerson, Sheldon Leonard and Florence Lake will be heard. The final broadcast will present "Report From the Future," a program featuring a group of distinguished scientists and news writers who will give their own forecasts. "It's Pippin" and "Report From the Future" will originate from New York, all the others from Hollywood. 7:30 p.m.--Advance Release (WIBA): new series of program previews: "Voices of Walter Schuman," choral concert. 7:30 p.m.--Advance Release (WIBA): Phil Foster, night club and TV comedian, in "What's With Herbert?" tale of family trying to get brash young man to work. 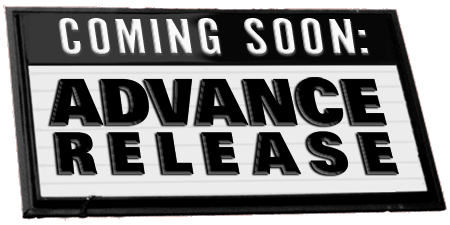 9:00---KFI--"Advance Release" is a brand new idea in radio programming. Each week a preview of of eight proposed series will be offered for your approval. Tonight Phil Foster, night club comedian, will be starred in a skit "What's With Herbert?" 7:30 p.m.--Advance Release (WIBA): Ella Logan in "Daisy Discovers America," story of Scottish immigrant who creates an uproar upon arrival. 7:30 p.m.--Advance Release (WIBA): "The Underworld," expose of organized crime; Martin Mooney, narrator. 7:30 p.m.--Advance Release (WIBA): "The Doctor," based on case histories from authentic medical files; cast includes Vic Perrin, University of Wisconsin alumnus. 7:30 p.m.--Advance Release (WIBA): Harry McNaughton in "It's Pippins, Sir!" Story of English butler who takes over American family. 7:30 p.m.--Advance Release (WIBA): Milt Gross' "That's My Pop" comes to life; cast includes Jim Backus, Florence Lake, Hope Emerson. 7:30 p.m.--Advance Release (WIBA): The final "report from the future" broadcast of the season finds the first man-piloted rocket has become a cruising space station, Babe Ruth's home-run record has been broken, and Cleopatra's tomb has been discovered.